Toornament and eBot work together. This partnership is made with productive organizers in mind, as it will allow them to both automate match management and retrieve results and rich statistics! 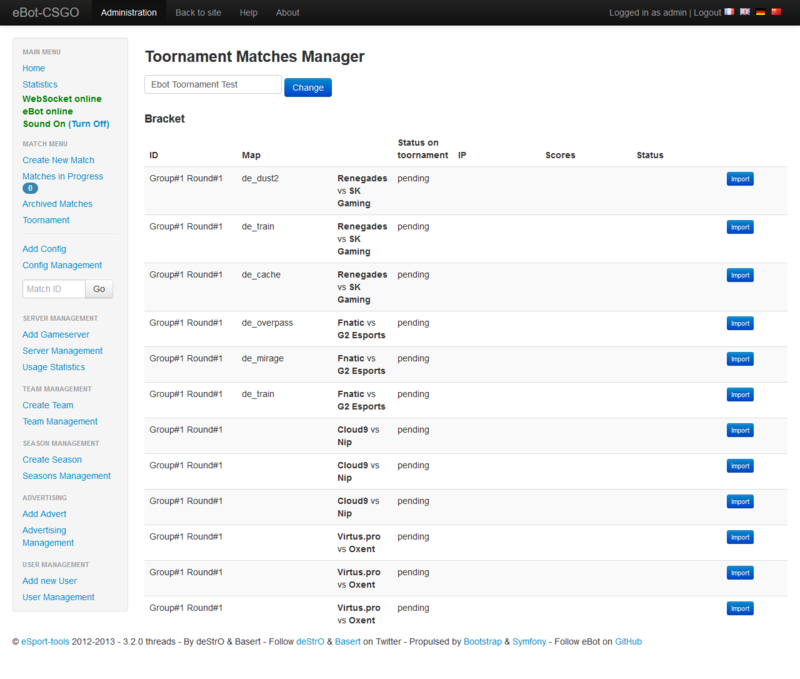 eBot uses our API to be able to import matches from Toornament and add results and statistics. Here's the complete Linux tutorial. Once eBot is set up, configure it with your Toornament API keys in the config file. Open the Toornament tab in your menu. Double-check time: Set your match format on Toornament, or the Import List will remain empty. Note that a "Game" on Toornament is a "Match" on eBot. If you've set a map per game in Toornament, they'll show up in eBot. 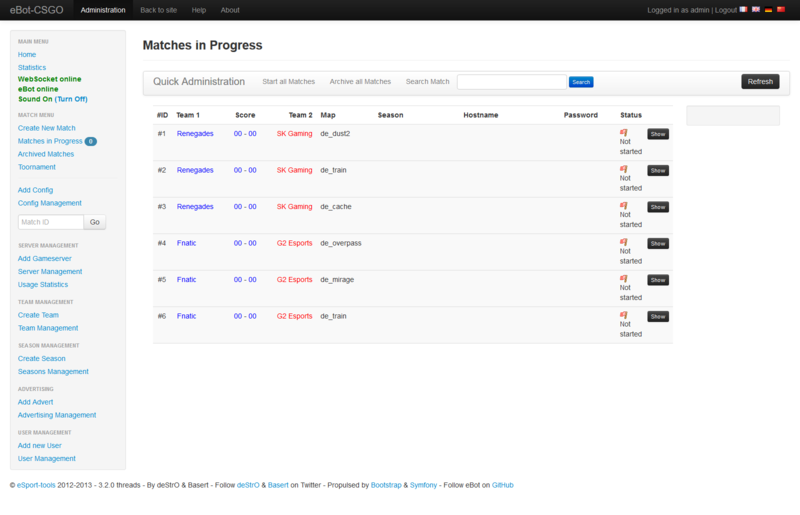 Go back in the Matches tab in your menu: Start your match on eBot, the tournament will then automatically progress. 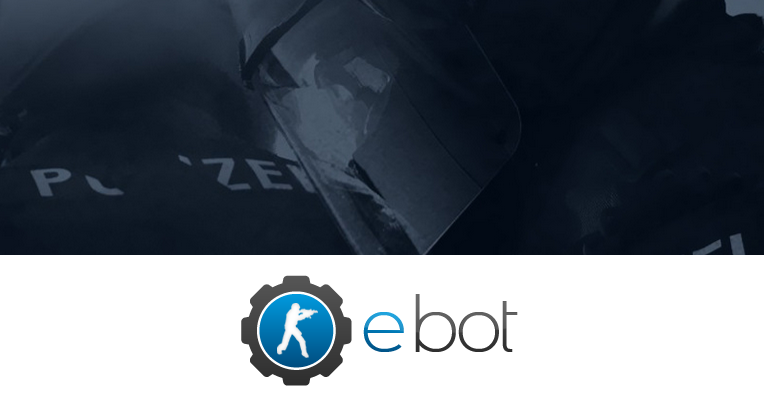 So, get started now with eBot and run the best CS:GO tournaments! As a reminder, eBot is not created by or affiliated to Toornament, and questions and feedback about eBot should be addressed to the eBot community.